Manju Bangalore’s favorite memory stays with her in sharp, crisp detail. Although her father was just playing a game, those moments in the air—the ability to fly—stayed with Bangalore and has influenced every decision she’s made since. She is determined to accomplish the height of flight: Bangalore wants to become an astronaut before she’s 30. 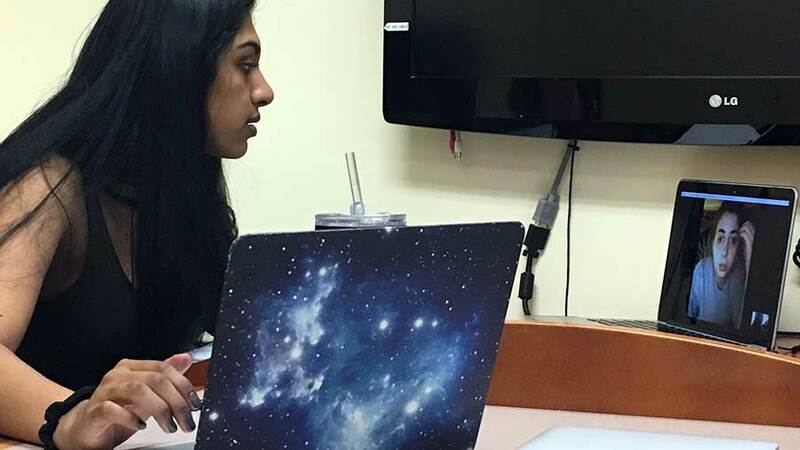 She learned about Kalpana Chawla, the first Indian American astronaut, when she was little, and saw a role model not only with their same ethnic descent, but her desire to circle the Earth in orbit. When Bangalore learned that Chawla was one of seven crew members killed in the space shuttle Columbia disaster in 2003, she thought for a moment about becoming a pediatrician, but the pull to fly was too strong. 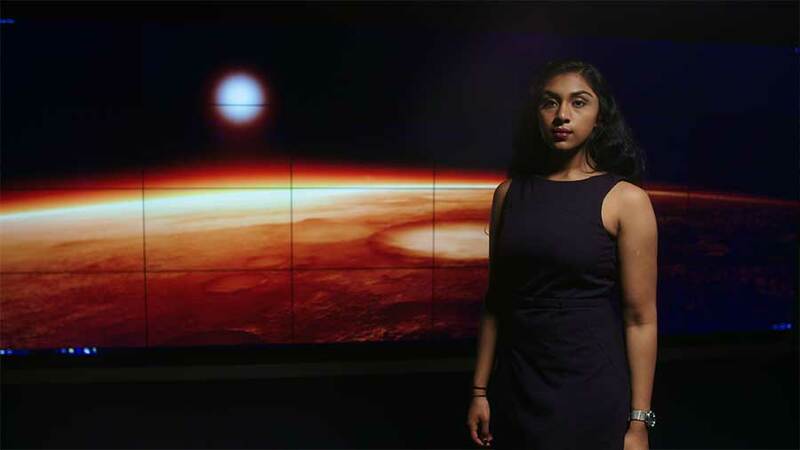 Now 20, the senior physics major just returned from an internship at NASA where she worked on the Orion spacecraft, which is designated to return astronauts to the moon and eventually, to Mars. She had the opportunity to work with astronaut Sunita “Suni” Williams, also of Indian descent, and was another idol of Bangalore’s. But Bangalore isn’t fazed by the fact that she is working on a spacecraft that will eventually reach another planet. Maybe it’s because she’s planned on this for so long, hitting each mark that enabled her to spend this last summer working in Houston at NASA. 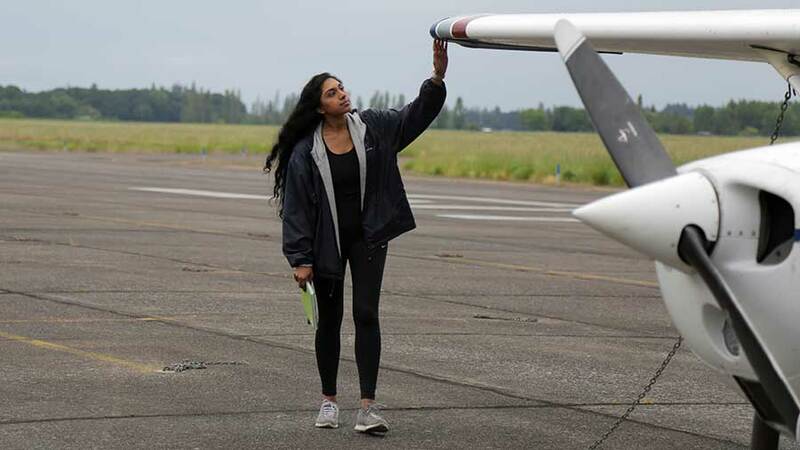 She’s taking flying lessons, and travels to Corvallis to pilot a small plane once a week to earn the hours she needs to get a license. She received the Presidential Undergraduate Research Scholarship and Summit scholarships to help with school costs. She meets with her advisor and professor, Scott Fisher, multiple times a week to stay connected. She doesn’t rely on her phone to keep her schedule; she carries a thick notebook that lists what she needs to do each day in aching, elaborate detail; one day might have as many as 15 entries. Or maybe it’s because this isn’t her first NASA internship, which is not only remarkable, it’s extremely rare for a student to return for another installation. Now 20, the senior physics major just returned from an internship at NASA in which she was working on the Orion spacecraft, which is designated to return astronauts to the moon and eventually, to Mars. But Bangalore isn’t fazed by the fact that she is working on a spacecraft that will eventually reach another planet. Maybe it’s because she’s planned on this for so long, hitting each mark that enabled her to spend this last summer working in Houston at NASA. 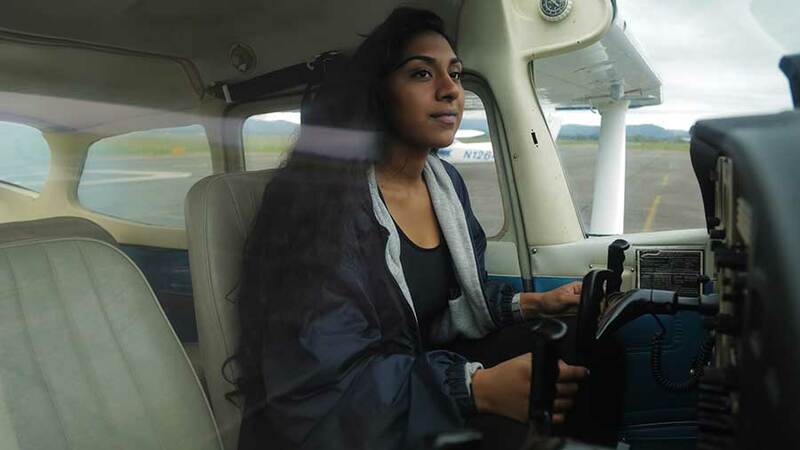 She’s taking flying lessons, and travels to Corvallis to pilot a small plane once a week to earn the hours she needs to get a license. She received the Presidential Undergraduate Research Scholarship and Summit scholarships to help with school costs. She meets with her advisor and professor, Scott Fisher, multiple times a week to stay connected. She doesn’t rely on her phone to keep her schedule; she carries a thick notebook that lists what she needs to do each day in aching, elaborate detail; one day might have up to 15 entries. Or maybe she’s not fazed because before she worked on spaceships at NASA, she spent the fall of 2016 developing technology and science policy at the White House. That fact—that she secured several amazing internships but didn’t get others—is important to Bangalore. Achievement, clearly, is something that is worked for, not something delivered. 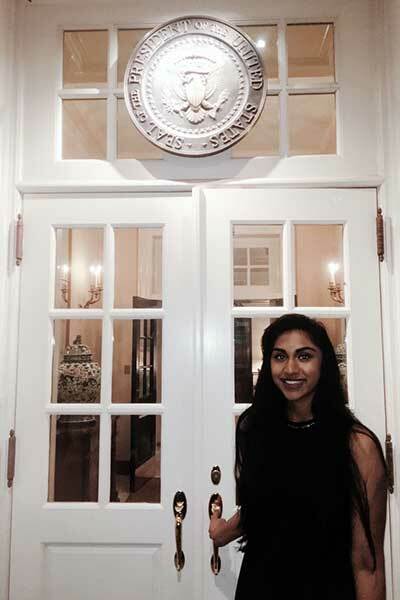 It’s also vital to Bangalore, a first generation Indian-American, who she says, didn’t know what the SATs were in high school or where to take them, to recognize that as a woman of color, especially one in the sciences, she is not expected to attain such coveted positions. In front of the spectacular telescope in his office in Willamette Hall, Fisher says four words that describe Bangalore: Extremely energetic. Personable. Organized. 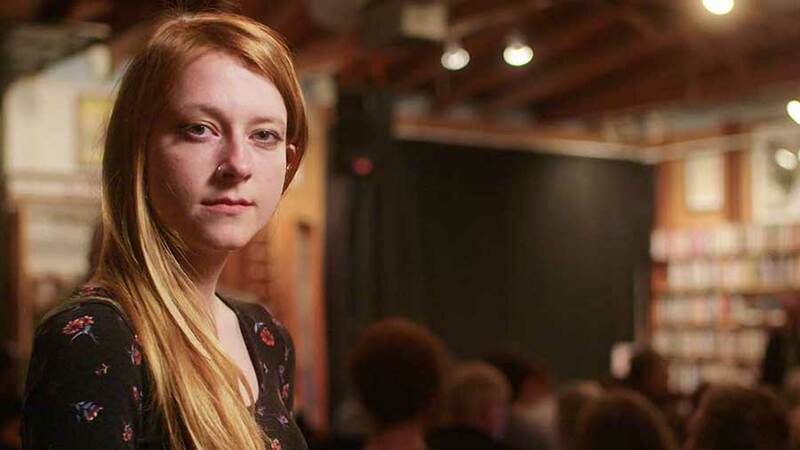 It was Fisher that guided her through the application process for the many, many internships she applied for, and Bangalore credits him with encouraging her to try for what seemed like the impossible. Bangalore saw the local pageant as an opportunity to spread the word about science to children and students in a way that they could understand the magic of physics like she did when her father started flying over railroad tracks in their family car. To make it simple but exciting. To explain science in ways that makes it accessible and reachable. 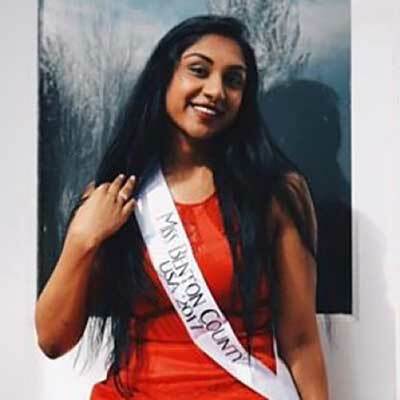 After an interview process, she won the county pageant, and this month, she’ll travel to Portland to compete for the Miss Oregon USA title. It’s something she takes seriously, counting every piece of lettuce she puts in her mouth, in every repetition her trainer encourages her to make to increase her upper body strength. She wants to win this. She wants to do it for science. In her family’s living room in Corvallis, Bangalore plays with her tiny dog, Murphy, as her parents, Phani and Geetha, sit in their kitchen sipping steaming chai tea that Geetha has brewed from a collection of spices. Newly arrived in the United States in the 1960s, Phani started a seed research company with $500, and when his bride, Geetha, arrived stateside through an arranged marriage, she gave up her career as a lawyer practicing in the highest court in the state of Karnataka in India to work with the business, which they have built into a successful, reputable research company. On the walls are portraits of their daughter as Miss Benton County USA, Manju’s sketches and paintings which are quite impressive, and sounds of a fountain in the living room gurgle behind them. It was Geetha that took Manju back to India nearly every year to spend her summers working at the same orphanage in Bengaluru. Over time, Manju grew up with the kids she spent her summers with, got to know them; they became playmates, friends. “Many of those children became doctors and lawyers,” Geetha adds. It was that foundation in giving back, the duty of serving the community that inspired Bangalore to establish Rosie, a nonprofit organization started in 2015 that supplies more than a dozen outlets, including homeless and family shelters, Planned Parenthood of SW Oregon, Womenspace and the Oregon State University Food pantry with menstrual supplies and educational services. Last year, Rosie began servicing Balavikasita Orphanage in India, providing the girls there with menstrual supplies, education, nutritional supplements, and medical access. 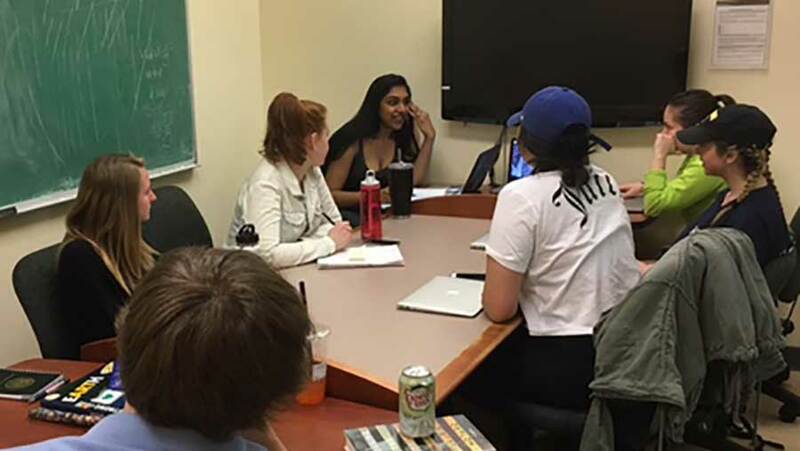 At a team meeting on a Sunday night in May on the fourth floor of the Knight Library, a gala is being planned for this fall. Bangalore is making sure everyone knows their roles: What type of appetizers should they have, who is responsible for linens, what type of entertainment should they look for? “Jugglers? Contortionists with those silk panels?” someone suggests. “Fire jugglers would be awesome,” someone else says, and the group laughs. But it’s not all laughter and whimsy in the meeting tonight; Bangalore is transitioning out of her role as executive director to a more informal role of a mentor. The deputy director is graduating, so most of the leadership team is leaving. Bangalore feels confident she is leaving the nonprofit in good hands; they are a tight group, and she’ll be departing to Houston in a month for her second internship at NASA. When the water started seeping under the door, Bangalore was worried, but not much. Her apartment was in an elevated portion of Houston while Hurricane Harvey had been pummeling the town already for a day. She still felt safe, even with the inch of water that was spreading itself around her home. Within minutes, the inch became two, became three. Bangalore called 911, but no one came; after a while, with the water still invading, she called again. When the water reached her knees, she grabbed her car keys to leave and head to the higher ground of a friend’s house that was close by; a three-minute drive. Once outside, she realized that the car she had shipped from Eugene was inoperable; water was far above the doors. It took less than a second for her to decide to walk in the thigh-high water. Her shoes were snatched by the current instantly, and for two miles after she found drier ground near a highway, she walked barefoot until she was spotted by a police car that took her to safety at her friend’s house, who happens to be Miss Mississippi USA, and who was also working at NASA. Her car is totaled, but she’ll get a new one when she returns to Corvallis before the fall term at UO begins. In January, she’ll be heading back to Houston with that new car, for her third internship at NASA. It’s another step closer, another mark hit.